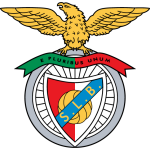 Benfica and Dinamo Zagreb face at Estádio do Sport Lisboa and Benfica (da Luz), in a 2nd leg match for the UEFA Europa League (8th Finals), after the (1‑0) home win by Dinamo Zagreb in the 1st leg match. Both teams register significant differences between home and away results, so the home/away factor is worth atention. After the away loss in the 1st leg, the home team comes to this match with the hard task of having to recover from a 1 goal disadvantage and haven't scored any away goals in the first match. This is a team that, oddly enough, has had better results in away matches than at home, since in the last 30 matches they register 11 wins, 1 draw and 3 losses in away matches; against 10 wins, 3 draws and 2 losses at their stadium. In their last match, for the Primeira Liga, they got a home tie against Belenenses by (2‑2). In the last 10 home matches Benfica has won 7, tied 2 and lost 1. Their offense has scored frequently, since they have scored goals in 8 of the last 10 matches. Benfica come to this game with a 2-2 home draw against Belenenses, registering the second consecutive official match without winning: the team's goals were scored by Jonas and Samaris. It is important to point out that hosts need to win to play this tie with Zagreb. In this home game, coach Bruno Lage should play in the usual tactical system, that is, the 4-4-2, privileging the maintenance of ball possession and the organized attacks. It is important to emphasize that Benfica have presented several defensive weaknesses, however, the capacity in the counterattack has surprised by the positive. For this match the coach can not count on the injured Fejsa, Seferovic and Eduardo Salvio. Confirmed Lineup: O. Vlachodimos, Rúben Dias, André Almeida, Francisco Ferreira, Yuri Ribeiro, Rafa Silva, Pizzi, A. Živković, L. Fejsa, Gabriel, João Filipe. The away team comes to this 2nd leg match with an advantage of 1 goal, but has suffered 0 goals at home in the 1st leg. This is a team that usually makes good use of the home advantage, stronger with the help of its supporters, since in the last 30 matches they register 8 wins, 3 draws and 4 losses in away matches, with 24 goals scored and 11 conceded; against 13 wins and 2 draws at their stadium, with 31 goals scored and 5 conceded. In their last match, for the 1. HNL, they got a home win against Rijeka by (3‑1). 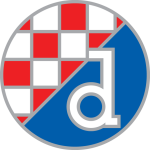 In the last 4 UEFA Europa League away matches Dinamo Zagreb has a record of 2 wins, 1 draw and 1 loss. Their offense has scored consistently, as they have scored goals in 7 of the last 9 matches for this competition. Dinamo Zagreb come to this match motivated after a 3-1 home victory over Rijeka. It is important to emphasize that the Croatians beat Benfica in the first leg of the Europa League. In this away game, coach Nenad Bjelica should play with a defensive strategy, looking only for the counterattack in order to explore the enemy's back. It is important to emphasize that the visitors have competence in the fast transitions: Dani Olmo is very fast and excellent in transporting the ball for the attack. There are no weight absences for this game. Confirmed Lineup: D. Livaković, K. Théophile-Catherine, P. Stojanović, E. Dilaver, A. Rrahmani, A. Gojak, N. Moro, Daniel Olmo, B. Petković, D. Kądzior, M. Oršić. The market we recommend for this game is the '' Under 2,5 Goals '' in the final score. It is certain that the home club present more individual arguments for this match, however, in this game face a very motivated opponent due to recent results. It is worth mentioning that the visitors will defend the result achieved in the first leg. In this way, we believe in a very balanced game, so betting in favor of a game with few goals is of great value.